You need to have a good online reputation with your products and customers alike. Learn the benefits of online customer satisfaction here! As a business person, there is nothing you may dread more than an unsatisfied customer. Customers who are not satisfied with your products or services can do anything that comes to their mind, from bad mouthing your business to shifting to a different business for their services. You need to have a good online reputation with your products and customers alike. It is the online customer experience that will differentiate the good businesses from the bad ones and even the excellent ones. There is an 86% chance that a satisfied customer will be willing to pay more for your products and services. What does customer satisfaction mean? 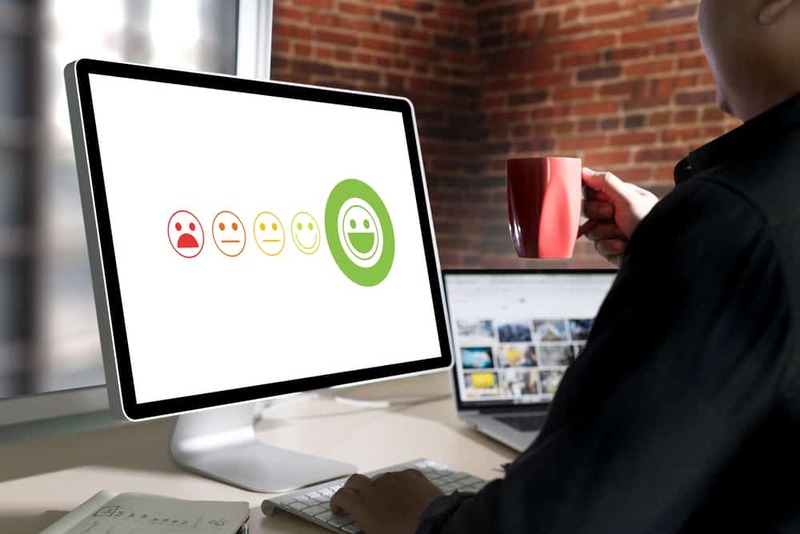 Customer satisfaction is the measure of how a customer will rate your product and/or service if your customer’s experience with these products and services meet their demands. One obvious fact that you should know is that satisfied customers mean good business and your business revenue is bound to increase significantly. Increased online customer satisfaction will likely result in increased business revenue. Many satisfied customers will most likely share their experiences on social media networks and write reviews on other sites like Yelp. This is exactly what you want for your business. The same goes for customers who have had bad experiences with businesses. These customers will be putting negative reviews about the business. You should try to avoid this as much as possible. You need to ensure that your happy and satisfied customers will never turn to other brands. Ensure that you amass more satisfied customers and establish a loyal brand base for your business. When you have happy cheerleaders and advocates singing your praises all over social networks and review sites, then know you are on the right track to increasing your online customer satisfaction. A customer will trust another person, and even a stranger, more than he/she will trust a marketer or advertising source. You need first to measure your customers, understand them, then see how you can have them to improve your online customer satisfaction levels. Different businesses have different online customer satisfaction goals. You need to, however, keep your goals simple, specific, relevant, achievable, and time-limited. Try and keep your goals as realistic as possible. Your customer’s opinion matters a lot. You can have a simple survey that takes even seconds to finish to submit to your customers to find their honest opinion about your products. This information is priceless for your business to improve its customer satisfaction. This strategy is used to gauge the customer satisfaction level and loyalty to a specific brand type. It’s a quick calculation of customer satisfaction as well as retention. You get your net promoter score by subtracting your percentage of promoters from your percentage of detractors. Do you have a question about the benefits of online customer satisfaction? Click here to contact Cuselleration today!